Anti-Kickback, Fraud, Stark, and Marketing - Where are the Landmines? IVF Treatment is a very personal journey- one with ups and downs. While there might be loads of information on infertility out there, it is very difficult to find the right information that fits your unique needs. Search for the right treatment option begins with the understanding that every patient is unique and standard treatments do not produce the same outcome for everyone. This concise and accessible overview of reproductive medicine in the 21st century seeks to demystify in vitro fertilization for prospective parents and students. The IVF Treatment Guide walks readers through the fundamentals of human reproductive anatomy and physiology as well as disease processes that cause infertility. This guidebook also highlights various fertility testing methods and treatment options that are currently available or on the horizon. 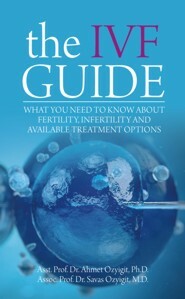 By blending the latest in scientific and medical research with the authors' own clinical experience, The IVF Treatment Guide offers unique insights into the science and art of reproductive medicine and in vitro fertilization. The growing phenomenon of medical tourism has enabled prospective parents to transcend physical borders, local regulations, and monetary restrictions with just a passport and an airline ticket. Countries across the globe now offer high-quality fertility testing and treatment, often at a fraction of the cost. The IVF Treatment Guide empowers prospective parents to ask the right questions and make the best decisions for themselves and their families. This textbook provides a comprehensive approach to the latest technologies in Reproductive Medicine in a very concise format. It is clear that the authors have drawn on their vast combined experiences in Reproductive Medicine in the writing of this text. [This study has] resulted in a very useful and comprehensive textbook not only for patients and their families but also for the new beginners in this field. Asst. Prof. Dr. Ahmet Ozyigit is a clinical embryologist with over a decade of experience in assisting patients with fertility treatments. Dr. Ozyigit, who is currently studying medicine, comes from an eclectic background with a bachelor's, master's, and Ph.D. in economics and a master's degree in clinical embryology. His passion for education and research is the foundation for his career as a physician, embryologist, researcher, and clinic manager. He currently holds a teaching position at the Mediterranean University of Karpasia and is the lead for clinical research at North Cyprus IVF Center. Assoc. Prof. Dr. Savas Ozyigit is the first fertility specialist in North Cyprus and has been a pioneer in fertility treatments for over two decades. Dr. Ozyigit is an active member of the European Society of Human Reproduction and Embryology and the American Society for Reproductive Medicine. He has also conducted clinical studies and published several articles and books on gynecology, pregnancy, and infertility. Dr. Ozyigit is the recipient of numerous accolades, including awards for medical excellence, lifetime achievement, and service quality. He is currently the chief of surgery at North Cyprus IVF Center.